day about the foods we eat, the clothes we wear, and the businesses we support – and the more we learn, the greater our ability to make informed choices. Megan and Chris with Larry Steer in Watkins Glen. Megan provides Min goat a better vantage point. Greeting Maybelle pig, who, along with her “sister” Anna, was an original resident at our New Jersey Shelter. act in accordance with her own core values. time for her to fully recognize the impact that her actions could make. York Shelter proved to be a catalyst for change. Megan and Chris with Larry steer in Watkins Glen on an early visit. Today, Megan and Chris are Friends of Hilda Club members, and Megan joined the Farm Sanctuary Board of Directors in 2009 and has served as Chair, as well as on the Development and Executive committees. the ceiling. I felt helpless, like the issue was too big and I was too small. welcome her to the shelter. Megan with her beloved friend Snickers. 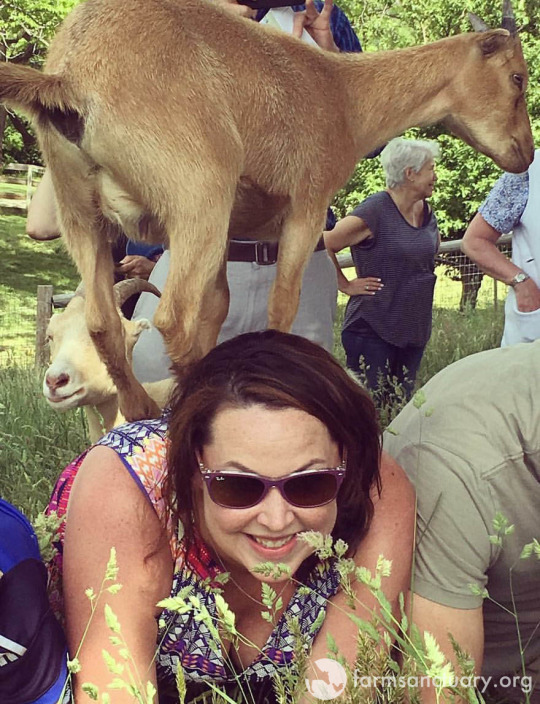 Young Min goat uses Megan’s back as a launch pad for fun times ahead! 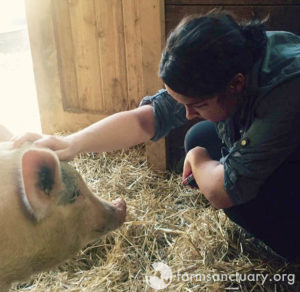 The more time she spent with these animals, the more she felt at peace with her journey and the more she realized that she did, indeed, belong in this group of people advocating for a better world for farm animals. her comfort when she started doubting her own ability to make a real impact. first starting with the individual and growing from there. restaurants, or on Facetime ‘SOS’ calls when our recipes were a flop. and beauty that surrounds us, we may truly thrive. Megan bonds with Maybelle pig. 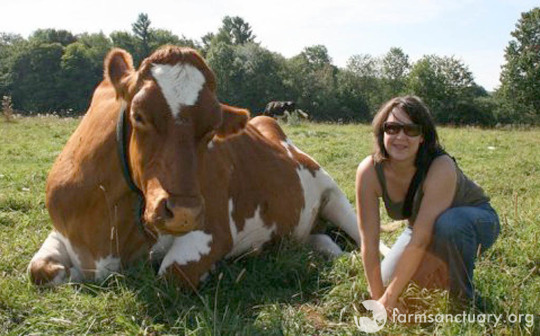 Learn more about Megan at Farm Sanctuary’s Compassionate Communities Campaign.